On the first Friday night of every month, the shops, restaurants, and art galleries of South Bethlehem open their doors and welcome passersby to step inside and discover something new. They do this in celebration of First Friday, a community tradition I’ve known about for years but have never managed to attend. So when a friend suggested we check it out, I decided that last Friday would be my first First Friday. Some people go for the food, others go for the shopping. We went for the art. 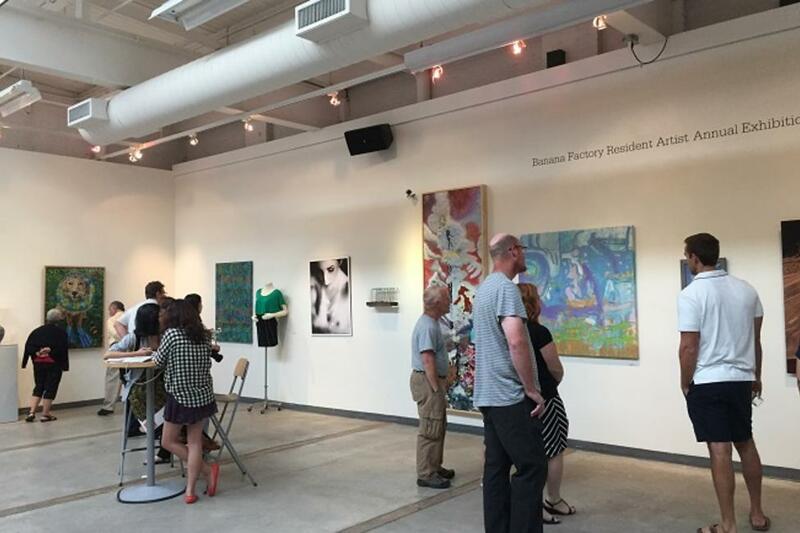 From 6 - 9 p.m., the Banana Factory Arts Center allows visitors to explore its galleries and studios at no charge. We started in the Crayola Gallery on the ground floor which is currently exhibiting work from the Banana Factory’s resident artists. Paintings, mosaics, photographs, ceramics, tapestries, wood carvings — every medium I could think of was represented on those walls. Wegman’s catered the event, so we were able to enjoy a light dinner while we admired the artwork. The two stories above are home to 30 art studios, where the Banana Factory’s resident artists create their masterpieces. During the event, most of the artists were in their studios, eager to talk about their craft, share their passion, and let us poke around. The studios have their own unique personalities — some are decked out in vibrant colors and funky artwork while others are zen-like with minimal décor. Each one is like stepping into a different world. 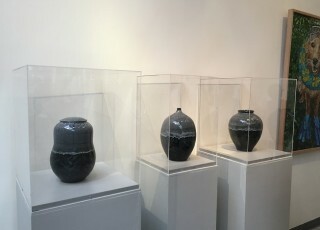 In the world of ceramics artist Deborah Slahta, the walls are lined with clay vessels painted in carefully calculated patterns with seemingly impossible precision. The world of fiber artist Kimberly Tanzos is a textural paradise draped in colorful gauzy scarves, vibrant wool paintings, and in the center of it all, a giant wooden loom. 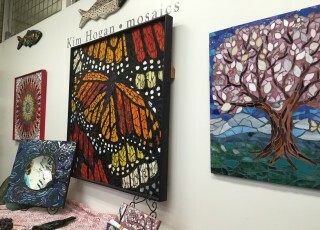 Kim Hogan’s world is a glass garden of mosaic flowers, butterflies, and fish, and Jeffrey Ludwig’s is a hypnotizing lair of geometric abstractions. As we moved from one incredible studio to the next, we could hardly believe all the talent that exists under one roof. We ended the evening outside on the terrace, where we enjoyed a glass of wine, courtesy of the cash bar. The experience gave me a newfound appreciation for the creative culture that exists right here in Lehigh Valley. It may have been my first First Friday, but something tells me it won’t be my last.